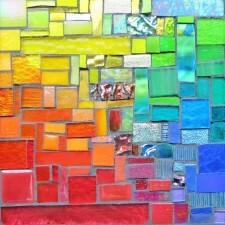 We will be at the Lansdale Farmers’ Market on Saturday July 3rd from 9-1, with mosaics and stained glass. This Saturday the Lansdale Farmers’ Market is celebrating it’s very first Birthday! Since opening last year on July 4th, the market has seen tremendous growth and change; a new location, new vendors and an expanded committee of organizers. As a thank you to LFM customers for their loyal support, the market is celebrating their first year by throwing a party! Birthday cake and raffle prizes starting at 10 am.